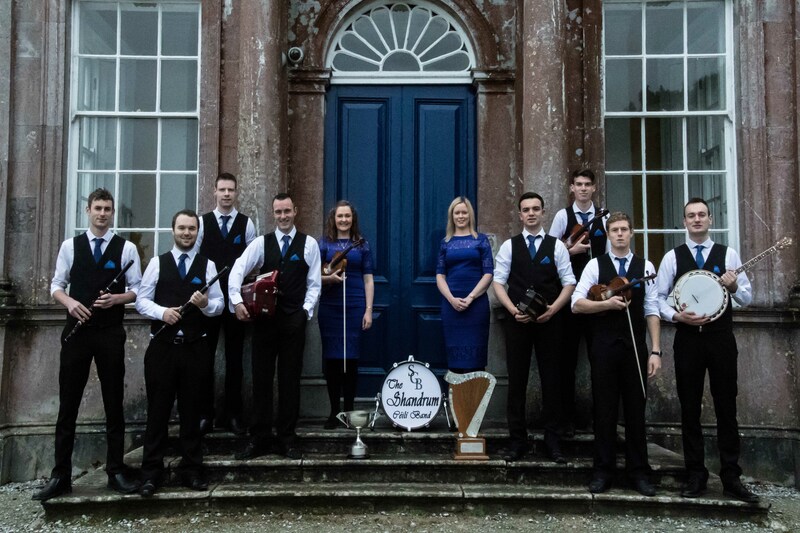 Triple All-Ireland winning céilí band champions, the Shandrum Céilí Band are one of the major acts for this year’s Fleadh Cheoil Chiarraí. The hugely popular group will perform open-air on the Gig Rig at the Fleadh on Friday, 22nd June at 9pm. ‘It’s a great coup for us in Milltown to have the All-Ireland Céilí Band Champions performing at the Fleadh Cheoil. The band are in huge demand across the country not least since they were crowned All-Ireland champions for the third year in the row in 2017,’ said chairperson of Fleadh Cheoil Chiarraí, Owen O’Shea. ‘The open-air céilí has always been a feature of festivals in Milltown over the years and it makes for a great spectacle as dancers and onlookers gather from all over the county to enjoy some top quality music. The Shandrum will play a full céilí on the street in Milltown on the Friday night of the festival at 9pm and it promises to be a fantastic occasion,’ he said. The Shandrum Céilí Band takes their name from the Shandrum parish in North County Cork. The band was in existence from the 1950s through to the 1970s, playing for dances and céilithe in all the major halls across North Cork. The current band, that has links to their predecessors, is in high demand across the country and abroad to provide music for dances, concerts and céilithe, much like the old band had in their heyday. The current band was formed in December 2014. They have been All-Ireland Champions in 2015, 2016 and 2017. A live broadcast on TG4’s Fleadh TV and further televised performances on RTÉ’s Fleadh Cheoil programme have brought the band’s music to a wider audience. The band were also privileged to perform at Áras an Uachtaráin on St. Patrick’s Day 2016 and in Dublin Castle for the Official 1916 Rising State Commemoration.